When I was a child, my mother, brother, and I rode the bus to swim lessons 3 times a week. The pool was about a half hour bus ride away, so take make the most of our time, my mom read to us. Hardy Boys, Pippi Longstocking, and, when we were older, Goosebumps — anything that would keep us interested. It was a great way to get us energetic, rambunctious little boys to sit still for half an hour and not bug the riders around us, but more importantly, it helped spur a lifelong love of reading that my brother and I share. Reading to children is essential to help stimulate their academic interest, even before children are old enough for school. According to a 2003 Department of Education report, it is recommended that parents begin reading to their children at 6 months old. Doing so helps infants become familiar with words, and hearing them over and over helps them develop language skills. For children who can already talk, reading out loud helps children develop reading skills. Following along and seeing the words on the page helps children associate verbal words with written ones, and helps to expand their vocabulary. Discuss new words as you come across them, so that children understand the meanings behind what they hear and can begin to build a lengthy repertoire of words at their disposal. Reading aloud also includes room for discussion, so that children may begin to learn how to think critically in an informal setting. Being able to read (or in this case, hear) something and formulate ideas based on a text is a skill children will need for the rest of their lives. Reading to young children stimulates curiosity and critical thinking, traits that will be necessary in school and thereafter. 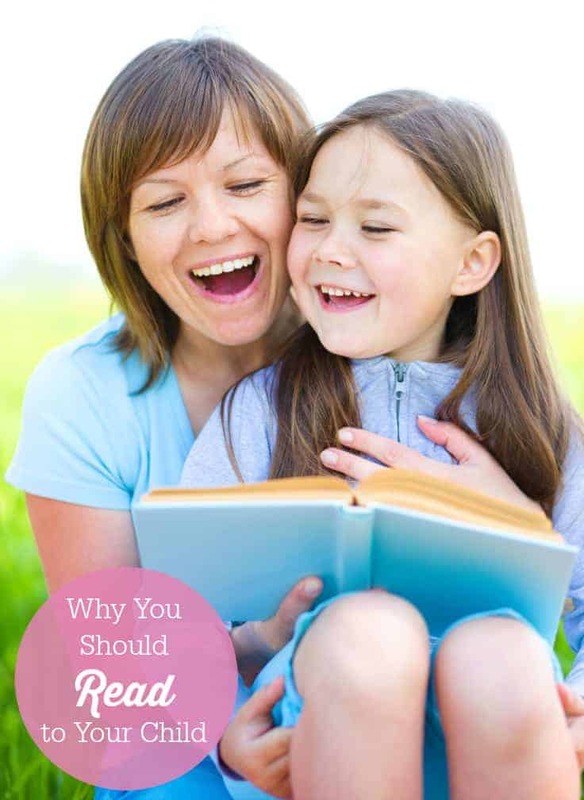 For parents, reading to children helps them get involved in their child’s academic life. It is important to be involved in your child’s learning process to help them gain new tools and succeed, and reading aloud is a proactive way to do so. As an added bonus, it is also a great way to spend time together. Set aside regular story time, say, when putting children to beg and make it a habit. It will become a time you will both look forward to and cherish. Many parents have busy schedules and are unable to spend as much time as they want with their kids, and when they do have time, spend it together watching a screen. Reading to children is an active activity, one you both will engage in and be able to discuss outside of designated reading time. The time my mom spent reading to me on the bus has been instrumental in my adult life. I am still a voracious reader, and I write for a living. I majored in English at college so I could read books and discuss them with others. And best of all, I still fondly remember hearing The Indian in the Cupboard while seated in a half-full bus on a sweltering summer afternoon. Those were bus rides I always looked forward to, and that I attribute greatly to my own academic interest and intellectual growth. Young learners need a jump start to see that reading, and learning, is fun. Give it to them by reading out loud to your child regularly. Joe Gustav is a guest blogger for An Apple a Day and a writer for the Guide to Health Education.